Yesterday, I came across a rather thought-provoking article. It provides a valuable, even if a bit politico-economically obtuse, review of history of Latin America. If you have five minutes, please do read it. What I do not like about this article is that, even if it is from al-Jazeera, it seems a bit patronizing to tell the Arab world to, essentially, “be patient, these things take time.” Because Pres. 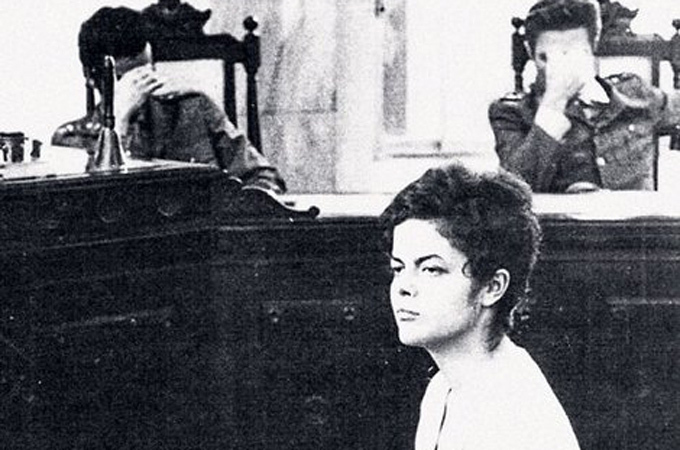 Dilma was just a young lady in 1970, when this picture was taken following a few weeks of imprisonment and torture. Now, she’s all grown up and president of an emerging world leader. The message is that the Arab world can’t expect to recover from military dictatorship overnight. Latin American countries, like Brasil and Argentina, are only emerging as world leaders and standing on their own two economic feet, after several decades of struggle – democracy was first declared in these countries in the 1960s and only today are they reaping the benefits. Did the writer of the article forget that Democracy was declared in the 1950s in the Middle East? Did they forget the nationalist country, of and by the people, that was the dream of Gamal Abdel Nasser in Egypt? Did they forget the series of coups in Syria, each one trying replaced a failed democracy by one that would actually represent the people? Did the writer of the article choose to ignore the existence of an exiled intellectual Arab community which is thriving around the world, writing and advocating and succeeding in just about everything except for bringing about lasting peace and justice in their home countries? Yes, these things do take time and this a lesson well-heard by my 22-year-old Egyptian friends who are frustrated that life didn’t improve overnight after Mubarak stepped down. But their parents, and probably their grandparents, know this already and surely they are growing impatient. The Middle East has given it time. As have many pained regimes in Africa whose people have been clamoring for freedom for decades. It’s going to take more and more pressure, more and more persistence, and a lot of cultural sensitivity to figure out how to do this “democracy” thing in a culture very different than those where the political philosophy was first invented. This entry was posted in Causes and tagged arab spring, Brasil, change, dictatorship, Egypt. Bookmark the permalink.